The Horse Lords - Campaign Plan ! EDITS HAVE BEEN DONE. 1.) The Fords of Isen (February 25, 3019) : This will put you into a quick battle where you : (1) Rescue Prince Theodred (an addition to HL Campaign Version), (2) Establish a small camp, & (3) Withstand a Seige from Isengard (just hold out until Reinforcements arrive). 2.) The Gap of Rohan (February 27, 3019) : Protect Peasants from the Uruk-hai and Warg Rider Raids until all of them are evacuated safely to a nearby camp (and then to Helms Deep). 3.) The Eaves of Fangorn (February 28, 3019) : This is were you slaughter the Uruk-Hai and Orcs before they realize of your presence (Ugluk will be presenting you a challenge along with a reinforcement army for the Uruks and Orcs scouting in the forest). 6.) The Ride of the Rohirrim (March 15, 3019) : Hehehe well this is going to be the from the Charge up till the Dead arrive (first Cinematic video I'll preview (to be shown when we reach this point XD). 7.) Re-taking of Ithilien (March 22, 3019) Gondor Mission: Well using Aragorn and some more heroes you begin to attack the orcs present then when the rest of there army gather to defend against you your Seige army will come (some Rohirrim present). 8.) The Defense of Lorien (March 22, 3019) Elf (The Galadhrim Forces) Mission : Rumil and Orophin lead the defense of Lorien in the absence of the Brother Haldir. You must stand the final Seige of Lorien and Destroy the enemy camp when the Galadriel arrives. 9.) The Black Gates (March 25, 3019) Well the Battle of the Black Gate without EA's false waves. 10.) The Battle of Dale : (March 27,3019) To be planned later. Please tell me if i have any dates out of order or any lore toooo out of whack ( I checked the lotr wiki). And what do you think would be a nice Evil Campaign ? Edited by Rider of Rohan, 07 February 2013 - 05:37 PM. Eomer at the eaves of Fangorn? Meaning I didn't put it as a mission ? EIDT :Sorry if i misunderstood. Do you mean add that mission into it ? I think it was only 7 missions you can fit ? Since the Campaign was 7 Missions not sure though. Edited by Rider of Rohan, 05 February 2013 - 01:49 AM. Oh, I just got bfme2, didn't realize there could only be 7 missions. Your ideas looks good then. The Battle at the Fords of Isen. Some great stuff in Unfinished Tales for that particularly epic part in Middle-earth's history by the Horse Lords (I just finished reading that book for the second time). I'm looking forward to it. Will you be using the original Helms Deep map for your campaign? Also, I am almost sure that Aragorn and the Lords of the West did not encounter any resistance until the Black Gate. There can be more than 7, AFAIK, as there are tutorials on how to add the Angmar and normal ones together? @Matt I'll be also using ideas from the Movie so Theodred won't be struck down and killed but he will be wounded enough so he cannot fight during the mission. 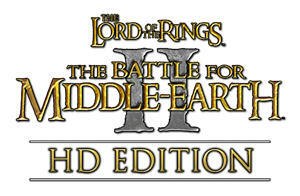 The Helms Deep Map will be revisited and cleaned up to look Movie's Fight like so the Mission will seem improved and not a total copy of the original. Also I didn't realized the Men of the West had encountered no resistance on the way to the Black Gate. Any Ideas of what 'Could' replace the Ithilien Mission guys. Ok I accept Defeat ._. I still wanna keep it short but if the Ithilien mission is out of place. Any battle happened before The Black Gates by any Good Race ? I'm thinking of a lore-appropriate replacement. - Reshape the Black Gate map to have the actual gate be all the way in the back, not passable, and, during the battle, keep orcs entering the map from that direction, endlessly, while a timer ticks away. - Start off with Aragorn, Legolas, Gimli, Éomer, Gandalf and Pippin facing the Mouth of Sauron. The map is not fully revealed. No hero but Aragorn is controllable. Kill the Mouth. - The entire map is revealed, showing an army of combined Gondor and Rohan units, all rank 5, all melee, all fully upgraded. Increase the leadership granted by Aragorn and Gandalf. Everything is now under your control. - Orcs start pouring in. - Olog Hai start appearing. - Eagles would be summonable as reinforcements, similar to how you summon reinforcements in BFME1 missions. The Nazgul would appear 3/4's into the battle, after about 12 minutes, after which you can summon the eagles. Hell, maybe Sauron himself could show up eventually. Another good idea would be to follow the book and create a large, flat elevation for your troops to form up on. Edited by Mathijs, 06 February 2013 - 07:46 PM. That is actually not bad. Or we could have the Heavy Troll Come Out to Fight Aragorn sometime after the Eagles appear. I did some research : March 11, 15, and 22 were the Seige dates for (Mirkwood on the 15th and) Lorien. So perhaps we could include the Elves in the Campaign . In regards to the whole "pre-black-gate resistance thing", someone of greater lore than me can probably correct me but I recall resistance in Ithillien as you say. Didn't a group of "MOTE" attempt to ambush Aragorn's posse in pretty much the same spot as Faramir's rangers ambushed a bunch of them in the Two Towers? I think that their scouts caught them out though and they just sent calvary round the back to pincer them. ... Actually that could make for a SWEET battle if you did it right haha. "It is but a feint," said Aragorn; "and its chief purpose, I deem, was rather to draw us on by a false guess of our Enemy's weakness..."
Edited by MattTheLegoman, 07 February 2013 - 08:20 AM. Well then I guess that settles that. But since the Campaign is "Unlimited" I can still include the Elves in One Mission and the Dwarves also since it is the "Good" Campaign I don't see any harm. During March 17-27 was the Battle of Dale, and the Battle of the Black Gates was held on the 25th. By my beard, I think we've got ourselves a bonus mission . Well the Mission "Skirmish at The Entwash" has the Cair Andros siege covered since the Men of Cair Andros flee, some to Rohan and some to Minas Tirith. The Intro will cover the Seige basically.